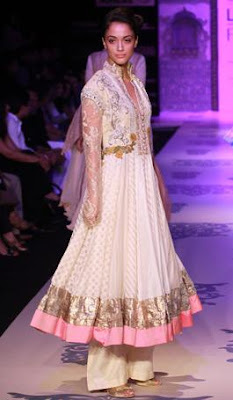 Day 3 of Lakme Fashion Week Summer Resort 2011 brought in new and very different collections. This summer my eye is trending towards brighter colours, tiered skirts, long blouses, and as I mentioned in my previous post, net fabrics! I've posted two of my favorite collections from day 3 of the fashion week below. What will you be wearing this summer? 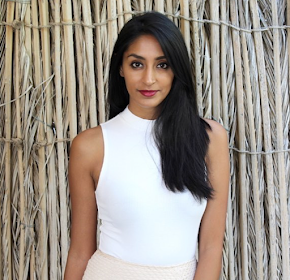 This duo is India's first luxury beachwear brand. Love the soft feminine fabrics and bright yet soft colours. Am in love with the pink cropped pants and the pink and red strapless dress! 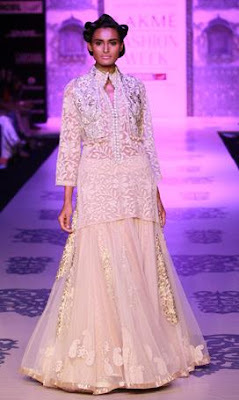 As always, Manish Malhotra wowed with his gorgeous, classic, and polished collection. 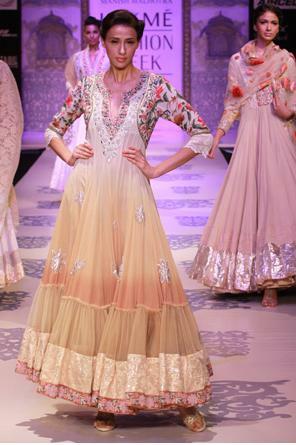 Ivory and beige were strong colours in this collection, but loved the punch of blue! We're also seeing lots of net! Love his collection always vibrant and amazing! Agreed! Manish Malhotra is by far one of my favorites, always look forward to his collections!